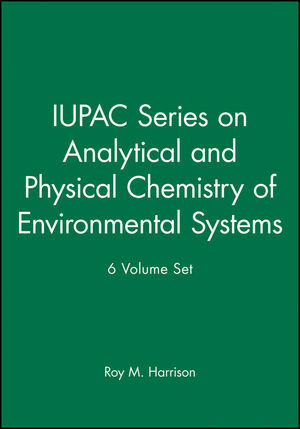 * The first book to deal with aerosol particles in the atmosphere, their properties and significance. * Leading scientists review and evaluate the latest knowledge on sampling; characterisation and properties of atmospheric particles. * Excellent overview of current research and forthcoming developments in this rapidly expanding area. Atmospheric Particles brings together the state-of-the-art knowledge of aerosol science relating to airborne particulate matter which will be of interest to graduate students and researchers working in atmospheric science, environmental analysis, pollution chemistry and global change. Roy Michael Harrison OBE FRS FRSC FRMetS is the Queen Elizabeth II Birmingham Centenary Professor of Environmental health at the University of Birmingham in the UK and a Distinguished Adjunct Professor at King Abdulaziz University in Jeddah, Saudi Arabia. 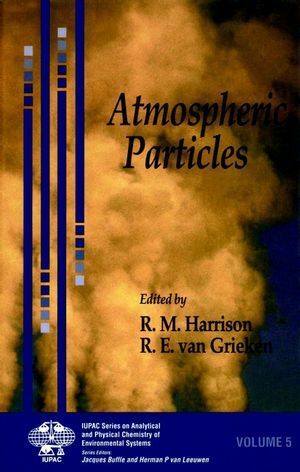 René Van Grieken is the editor of Atmospheric Particles, published by Wiley. Atmospheric Aerosol Size Distribution (R. Jaenicke). Atmospheric Aerosol Sampling (D. Mark). Inorganic Composition of Atmospheric Aerosols (M. Claes, et al.). Speciation Techniques for Fine Atmospheric Aerosols (R. Tanner). Structural Heterogeneity within Airborne Particles (J. Injuk, et al.). Kinetics and Thermodynamics of Tropospheric Aerosols (A. Wexler & S. Potukuchi). Dioxins, Dibenzofurans and PCBs in Atmospheric Aerosols (S. Harrad). Polycyclic Aromatic Hydrocarbons in Atmospheric Particles (D. Smith & R. Harrison). Carbonaceous Combustion Aerosols (H. Cachier). Primary Biological Aerosol Particles: Their Significance, Sources, Sampling Methods and Size Distribution in the Atmosphere (S. Mathias-Maser). Formation of Aerosol Particles from Biogenic Precursors (C. Hewitt & B. Davison). Source Inventories for Atmospheric Trace Metals (J. Pacyna). Dry Deposition of Particles (M. Zufall & C. Davidson). Wet Processes Affecting Atmospheric Aerosols (S. Jennings). Condensed Water Aerosols (J. Heintzenberg). Influence of Atmospheric Aerosols upon the Global Radiation Balance (H. Horvath).